When you first see Reuleaux RX2 20700, you may not feel very satisfied with its appearance. 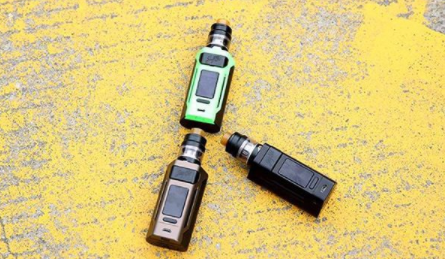 Compared to other products, especially the newest produce of Wismec – CB60, Reuleaux RX2 20700 is a little big, which is not in accordance with our aesthetic. However, you will fall in love with it after you use it. First, I still want to introduce its appearance. It is designed skillfully although a little big. One flaw can not obscure the splendor of the jade. It is 43.2mm high, 35.2mm wide, 81.7mm high and with a weight of 165.4g. Why is it so big? All is because of its variable function. With a 1.3-inch screen, we can the figures clearly. Besides, the upper design is elastic, which can adjust its size flexibly. There are more advantages of it. I will introduce them in the following. First of all is its removable 20700 batteries or 18650 batteries. By this can we enjoy ceaseless vaping and improve our usage experience. Second, I must mention the innovative push-pull design for convenient exchange. This innovative design allows us users to change the cells quickly and conveniently just by sliding the back cover. Last but not least, it can provide two versions of e-liquid capacity, 2ml or 4 ml. you can choose one as you like. Also, there are two kinds of drip trips, of which the short drip trip and the long drip trip can provide users perfect vaping experience. As I mentioned above, it is not very portable like other products. But it doesn’t matter. Just a little more weight than usual, to be exact, about 30g, it can’t cause a big problem. By adding a little weight does it add much more function. For example, its airflow at the bottom can be adjusted conveniently. You can adjust it to whatever you like by rotating the airflow control ring. Then you can enjoy your vaping of different airflow. Click http://www.wismec.org/reuleaux-rx2-20700-with-gnome.html to learn more.